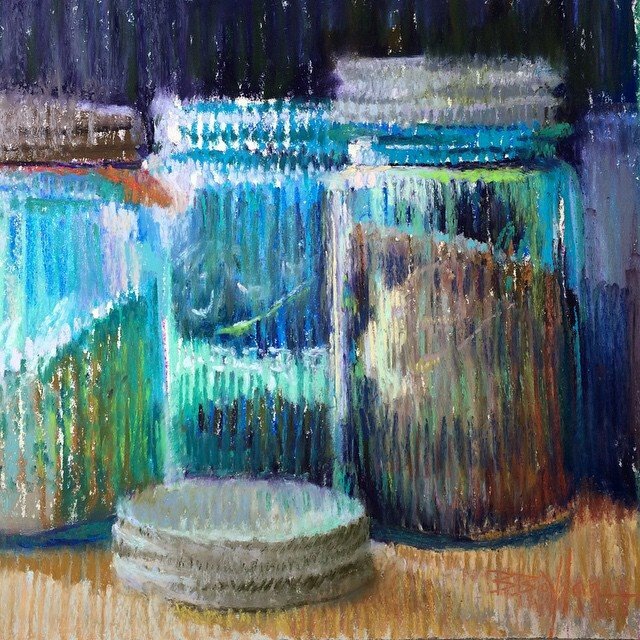 Brenda’s work has been published in The Pastel Journal (cover story), Plein Air Magazine, The Art of Plein Air Painting, The Best of America Pastel, and has her own signature line of Jack Richeson Pastels. Her work has been displayed at the Favell Museum, The Butler Institute of American Art Museum and the Oregon Historical Museum. Brenda lives in Portland, Oregon with her husband of 30+ years. Boylan is currently represented by The Mission Gallery in St. George, UT., and South Street Gallery in Easton, MD., and Brian Marki Fine Art in Palm Springs, CA. I feel forutnate by what I can create and do. To me it is fullfilling when a student begins to show progress in their work. I only began painting this last fall, and through Brenda's guidance, instruction, and encouragement, I have discovered a new passion, and perhaps, a long hidden artist. Her style of teaching responds to all levels of mastery, and her enthusiasm and passion is infectious. Her level of mastery is enviable, but she is more than willing to share her secrets, and does so in a way that is clear and meaningful. If you are considering taking lessons from her, don't hesitate another second. Brenda works well with students of different levels within the same class. She gives useful critique while always being encouraging and positive. She is enthusiastic and promotes having fun while learning! she is also an amazing artist!! I love her demos! 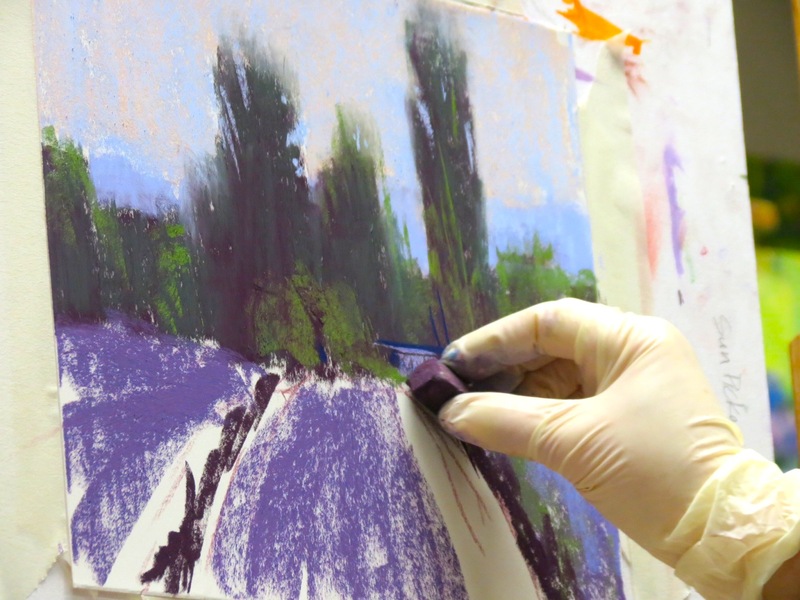 Regardless of student experience level, Brenda can guide artists to doing their best work. She is very personable, extremely professional and has a knack for explaining concepts I may have heard before but never understood. Brenda brings years of experience to her students in clear, basic lessons packed with the fun that is Brenda. She shares her joy of art and creativity, while providing you with a good foundation to begin your own art journey. You will not be disappointed spending time and learning with her. I have taken a number of workshops with Brenda Boylan over the past five years. She has taken a novice to an intermediary level. Brenda engrained in me the abstracts of value composition and color. Now I am comfortable working plein air and much better in my home studio. I need to evaluate the skill level of the student to see where to start. It helps to know if the student has peviously taken art lessons or is a true beginner. It would be nice to see what they have previously produced as an example and how motivated they are. Examples could be sketches, drawings, or paintings. I prefer a 3 hour lesson per week for a richer experience. I have a Bachelor of Science degree in Applied Art and Design from Cal Poly State University, San Luis Obispo. I am a Signature Member of the Pastel Society of America, Laguna Plein Air Association, and the Northwest Pastel Society. I have taught painting at the Plein Air Convention & Expo 4 years. I began teaching in 2004 after several requests from community artists. I created my own lesson plans and subject matter to enable a gradual ability of skill and technique. I have taught beginning to intermediate levels of artists. They come from a variety of backgrounds including business, accounting, ceramics, homemakers, carpenters, lawyers...many kinds of people with varied level of backgrounds. Door County Plein Air Invitational and/or The Pastel society of America’s Annuual Members Show. Do your research. Call art societies, look at portfolios online, and look at social media to get an idea of the personality, ability, and professionalism. Is the student willing to try new techniques? How flexible is the student to new ideas?